Me: Aren’t we lucky Grandma and Poppa gave us a Readings voucher to spend at Easter? One book each, kids! Miss 10: I already know which book I want. Ruby Redfort. Mr 7: I don’t know which book to get! Me: That’s ok. Plenty of time to choose. Mr 7: (as we walk into the newish Readings kids bookshop in Carlton) Seriously? All these books are for kids? Miss 10: But there are two Ruby Redfort books I haven’t read! Mr 7: What was that ninja book you told me about, Mum? Me: Yes, that book! Thank you! Mr 7: (Silence for ten minutes while he reads a bit of the book). Miss 10: Mum, can we buy one of the Ruby Redfort books with the voucher and can I buy one with my pocket money? Miss 10: And can we buy the more expensive one with the voucher? Mr 7: Don’t forget Mr 13’s book. Me: (to another shop assistant) Excuse me, do you have the latest A. L. Tait book in the Mapmaker series? Have you read Alison Rushby’s book? And Ursula Dubosarsky’s latest book, The blue cat – what age group is it for, please? As you can see from our condensed conversation, we enjoyed our excursion to this gorgeous bookshop. Different sections are marked with wooden flags – and the sections are extensive. Educational, Lego and Star Wars, Harry Potter, picture books, board books, young adult, middle grade and so on. There’s many spots to sit down and have a read, as well as a fabulous mural by illustrator Marc Martin. And the staff are informative and friendly. I must admit, I have had difficulty writing this post – because I have packed most of our books in boxes, ready for our move back home in a few weeks. I feel a little bereft without all our books around and readily available to read! However, I do have a collection of fabulous books for nine-twelve year-old readers here. I really enjoy reading books for this age group because the plots are a little more sophisticated and the characters a little more developed than in books for younger readers. The variety in stories is wonderful – mysteries, school life, orphans, bullies, refugees, a search for a lost sister – if your child can add all these books to their reading record, they will be very well-read, empathetic and articulate kids! Smile, written and illustrated by Raina Telgemeier – this is a comic book about an American girl who falls over, loses her two front teeth, and goes through a series of dentists and braces to fix her teeth. It provides a detailed look at the challenges that kids face at school such as changing friendship groups, fitting in and first crushes. Raina has drawn on her experiences so the book is authentic and funny. This is a great book for kids who aren’t confident readers as the illustrations tell the story as much as the speech bubbles. And if you think that a comic book doesn’t have much substance, think again – this is a fabulous story which will appeal to both girls and boys. I could see this book being used as a text in classrooms. Operation Bunny, written by Sally Gardner and illustrated by David Roberts – this is the first in the Wings and Co series. Probably more for nine and ten-year-olds, this story is a mystery. Set in the human world, but with fairies, witches and a talking cat, this book has all the classic fairytale elements. Emily Vole, who has magical powers but doesn’t know it, is an orphan who is neglected by her adopted parents. Luckily, there is a friendly fairy and a talking cat living next door and Emily’s friendship with them starts off a chain of events. Miss 10 has also read the second and third books in this series and loved them. This is a fun, easy read. Run, Pip, run, written by J.C. Jones – this is another book which would be great in a grade four or five classroom. Pip has just turned ten – except her birthday wasn’t anything special because her adopted grandfather ended up in hospital. Pip is on her own now, and has to stay off the streets and away from the kind but determined police officer who wants to keep Pip safe. Pip has her own version of safe and decides to stick to it. 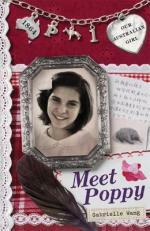 Pip is a wonderful protagonist – endearing and engaging. I think boys would enjoy this story too as it’s not an overly ‘girly’ book. Artie and the Grime wave, written and illustrated by Richard Roxburgh – yes, you are right – this Richard Roxburgh is the same actor and director you are thinking of. He can now add author and illustrator to his name. I’m still not sure who I bought this book for – it might be a little old for Mr 7 but I think he would enjoy it. Even if he can’t read it all by himself, we can share the reading. There are some illustrations but also full pages of text. It’s a funny, funny page-turner of a book, about Artie, a twelve-year-old boy, who stumbles across a cave full of stolen goods with his best friend Gumshoe. The pace is quick, there’s lots of action – a great book for boys, although I am sure Miss 10 will read it, too. This book would work for reluctant readers because it is hilarious, with no long descriptions or slow build-ups but would also appeal to confident readers because of the humour. 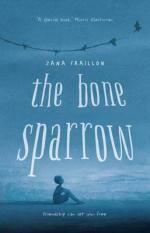 The bone sparrow, written by Zana Fraillon – this is a poignant, powerful story about a boy living in a refugee camp and a girl who finds a way in. I have to admit, I haven’t finished this book yet but I wanted to include it here. I’d recommend this book for well-read bookworms of eleven to thirteen years – indeed, it would still be a wonderful read for fourteen year-olds. Suitable for boys and girls. I’m enjoying the feeling of being immersed in this fictional refugee camp but it’s a sober reminder of actual camps. Subhi and Jimmie are likeable, engaging characters, and I’m keen to finish reading it. Olive of Groves, written by Katrina Nannestad and illustrated by Lucia Masciullo – this book has an original and funny premise – a sensible girl ends up at a boarding school for talking animals, naughty boys and circus performers. Olive desperately wants to stay at the boarding school – her grandparents have home-schooled her and managed to save up enough money for a school so Olive doesn’t want to disappoint them. The writing is humorous in an understated way and there is a cast of unique characters like Glenda the goose who continually faints and a trio of rats, one of whom has a robust bottom! There are also another two books in this series. The magician’s elephant, written by Kate DiCamillo and illustrated by Yoko Tanaka – this is a beautiful story about Peter, who finds out through a fortune teller that his little sister lives (he believed she had died as a baby). He follows the fortune teller’s advice to find the elephant which will lead him to his sister. This story has the feel of a nostalgic classic – beautifully written with a strong narrative voice. Perfect for both boys and girls. Iris and the tiger, written by Leanne Hall – this book is a fabulous blend of the realistic and the fantasy. I was truly intrigued by the mysteriousness of the events in this story. Iris is twelve, and has been sent from Australia by her money-hungry parents to Spain to curry favour with her great-aunt Ursula. There are lots of art references, new friendships, unusual adults who may or may not be trusted and a series of secrets and mysteries to slowly uncover. An interesting, unique book. Stay well soon, written by Penny Tangey – this is the story of Stevie, whose brother is in hospital for a while. There she meets Lara, who is also a patient. Stevie and Lara share a love of horses and become friends. The story is told in first person, which puts us firmly inside Stevie’s head where she worries about her family’s money problems, grade five friendships, her brother’s health, and then Lara’s health, and wishes passionately for a horse. I cried while reading this story – hospitals and kids aren’t always a happy combination. Two wolves, written by Tristan Bancks – this book is for eleven-thirteen year-olds. Mr 12 read it earlier this year and Miss 10 hasn’t read it yet. It’s about thirteen-year-old Ben, whose parents have done something illegal enough to be wanted by the police. Ben, his younger sister and his parents hide out in his grandfather’s old cabin in the hills. Ben is an unlikely hero – he’s a little overweight, he’s apologetic, and he’s scared of his dad. But in reference to the title, Ben has to choose between the bad wolf inside him which represents greed, pride and jealousy and the good wolf – kindness, hope, truth. If there’s a fight between the two wolves, the one you feed is the one who wins. I hope this list gives you some ideas for nine-twelve year-old readers. The age categories are fluid, as there are sophisticated eight-year-old readers who can handle a thick book with a complex storyline as well as thirteen-year-old readers who need something simple to comprehend. Let me know which books sound appealing for your children or grandchildren. Please pass on this post to others who might be interested. Next week – suggestions for twelve-fourteen year-old readers. Happy Christmas shopping! I don’t think I have ever, ever used my credit card as much as I have in the last two weeks! Christmas shopping, five December birthdays, furniture for our newly renovated house (we’re back in a few weeks) – the numbers have nearly worn off the card. But I hope you are still in the mood for Christmas shopping because I have a list of fabulous books for the 5-8 year-old set. I usually buy my books from Readings, Booktopia, Dymocks and Tim’s Bookshop. I subscribe to their newsletters and updates and watch out for when they have sales or discounts. Often kids in prep, grade 1 or grade 2 who are happy to read picture books suddenly become reluctant to read them. Maybe they think picture books are for babies. Maybe their older siblings are reading thick chapter books. Maybe they want to collect a series – because kids are collectors, aren’t they? So these kids need books that are divided into chapters or sections but have a large font, some illustrations and possibly have speech bubbles or captions to break up long chunks of text. All of these books can be read by a parent first – one or two chapters a night – and then read on their own later. Our Australian girl series – multiple authors – there are many, many books in this series, as each set follows the adventures of one girl over four books. These books are a coveted, collectable series. The books focus on a certain aspect of Australia’s history but the story comes first. The authors, such as Sofie Laguna, Gabrielle Wang and Sally Rippin, are experienced, natural storytellers so the story is riveting and engaging, regardless of whether it is set in the 1800s or 1900s. A lovely series – more for girls. 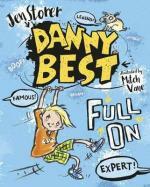 Danny Best, written by Jen Storer and illustrated by Mitch Vane – Mr 7 loves this book and has read it half a dozen times. Here are some of the plot points – swamp of despair, farts, booby traps and the tortured warrior’s racetrack. The back cover blurb states that Danny makes the rules. Danny breaks the rules. Danny Best is full on. Perfect for 6-8 year old boys. 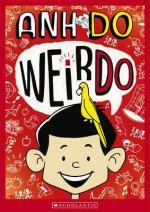 Weirdo, written by Anh Do, illustrated by Jules Faber – another fabulous series, with seven books at the moment. Short chapters, funny, lots of illustrations, some words printed in a different colour. Both Miss 10 and Mr 7 love these books. Henrietta, there’s no one better, written and illustrated by Martine Murray – I love Martine’s work because she has a quirky way of looking at the world. I went to a weekend workshop with her a couple of years ago and she was both an inspiring and practical teacher. 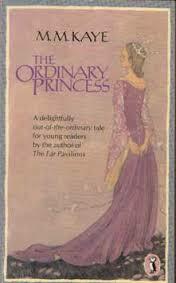 This book is almost like a stream of consciousness from Henrietta about her daily life. There are lots of illustrations, and there are quite a few pages which have almost been set out like picture books with the text wrapped around the illustrations. With the pink cover, this one is probably more for girls. Flat Stanley by Jeff Brown, illustrated by Scott Nash – this is an oldie but a goodie. 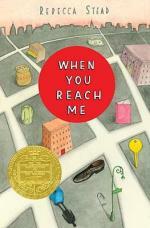 Published in the 1990s, this series is about a boy who has different adventures. In one book, he becomes flat – flat enough that he can be sent through the post box. In another book, he becomes invisible. His parents, the Lambchops, are surprised but take it all in their stride. It’s a funny series, with simple vocabulary, black and white illustrations and large print. A perfect series for kids who want to read chapter books, but need a little help. Goblin at the zoo, written by Victor Kelleher and illustrated by Stephen Michael King – there are at least half a dozen of these books about Gibblewort, an Irish goblin who doesn’t like children and is quite cranky. The stories are funny and will appeal to kids’ sense of the disgusting and ridiculous. These books are divided into chapters with black and white illustrations and plenty of white space around the text, to make it reasonably easy for kids to read on their own. Mr 7 has a lovely box set of these books – a box set always makes the books feel more special! 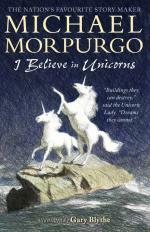 I believe in unicorns, written by Michael Morpurgo and illustrated by Gary Blythe – this book is beautiful. It’s great for boys – the main character is Tomas – and great for girls – it’s about a unicorn, after all. This book may need to be read by parents first as there’s more text and less illustrations. It may also suit a nine or ten-year-old. It’s a quieter book about a boy who lives in a small mountain village and doesn’t like school or books. But he’s drawn in by the unicorn lady who spins stories every day at the library. The war has ramifications for his village, and Tomas is part of his village’s efforts to save their books. The bad guys, written and illustrated by Aaron Blabey – there are four books in this series about some characters who are traditionally the ‘bad guys’ – Mr Wolf, Mr Shark, Mr Snake and Mr Piranha. But Mr Wolf is determined to turn them into good guys! Again, short chapters, minimal text, funny illustrations. The worry tree, written by Marianne Musgrave – this chapter book is a more sophisticated one so will suit eight-ten year-olds but I’ve included it here because it is a lovely book to read aloud to younger ones. Juliet is a worrier – she worries about her family, her friends and the bully at school. In her new bedroom, she discovers a painted tree with animals hidden under a layer of wallpaper. Her Nana explains that it’s a worry tree so you can tell your specific worries to a specific animal who will look after them for you while you sleep. While this premise might sound a bit preachy, the story is well told and funny. There’s a set of blank pages at the book of the book to fill in your own set of worries and you can also download a poster of the worry tree from the Random House website. A big thank-you to Maddie who showed me her copy of this book and told me all about it! 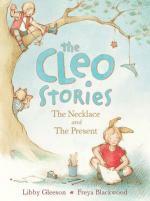 The Cleo stories, written by Libby Gleeson and illustrated by Freya Blackwood – a wonderful author/illustrator combination. Simple stories about Cleo, who goes to parties, plays with her friends, thinks about her Mum’s birthday present and superglues her fingers to a broken bowl. The illustrations are gorgeous and the text is nicely spaced out so it’s not too overwhelming for early readers. A miscellany of magical beasts, written by Simon Holland with four illustrators – this is a great book for non-fiction readers. It’s also perfect for kids who may have seen a Harry Potter movie or two, as it covers many of the magical creatures in the Harry Potter series. There’s a gorgeously illustrated double page spread, often with a fold-out page, for each creature – basilisks, trolls, merpeople, centaurs, unicorns, griffins, dragons and so on. Each page gives a little bit of history and some interesting facts. The text is reasonably dense, so you would treat each double page as a chapter – one before bedtime. Or otherwise, it’s a wonderful book to simply look at the pictures and perhaps read a tiny bit. Here’s my post on series for kids from last year and here’s my post on stand-alone books – you might find something useful there, too. And of course, don’t forget the usual Hey Jack series and Billy B Brown series by Sally Rippin, the Sporty Kids series by Felice Arena (I have bought many of these books for prep and grade 1 kids), the beautiful Kingdom of Silk series by Glenda Millard, and of course, Tashi by Anna Fienberg and Barbara Fienberg. I’d be really grateful if you would pass on this post to friends and family who might also be looking for Christmas books to buy for their children and grandchildren. I’m always ecstatic when I see I have a new subscriber! You can subscribe by entering your name and email address on the home page. Next week, I’ll have a post on books for 9-12 year-olds. Let me know if any of these books appeal to you. Happy Christmas book shopping! Yes, it’s only November but we need to think about buying books for Christmas! I have a series of posts planned for you which I hope will make your Christmas shopping easier. Each Friday for the next four weeks I’ll provide a list of books which I love, and I hope you do, too. You can also look at my posts from last year – book series for kids, stand-alone titles for kids, picture books and Christmas books. Even if your children, nieces, nephews or grandchildren aren’t strong readers, a book is a beautiful gift – and one that will last beyond the plastic stuff. Besides, they’ll need a break from the water pistols and technology gadgets over six or eight weeks of holidays! Here’s some of my favourite picture books to put in a Christmas stocking for this year. I haven’t included the usual favourites for really little ones – Mem Fox, Pamela Allen, Rod Campbell, Julia Donaldson, Martin Waddell – all these writers have beautiful board books for babies and small ones who like to chew on books or rip the pages. This girl, that girl written and illustrated by Charlotte Lance – gorgeous watercolour illustrations show the difference between ‘this girl’ and ‘that girl’. Here’s a case of less is more when it comes to words – the pictures say everything, sometimes even the opposite of what the words mean. 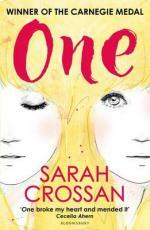 It’s a lovely book about fathers and daughters and their differences. It’s simple and funny enough for four-year-olds but would work wonders in a grade 1 classroom, too. The paper dolls, written by Julia Donaldson and illustrated by Rebecca Cobb – I dare you to read this and NOT make a chain of paper dolls! This is a sweet story about a girl whose mother helps her make a chain of paper dolls who have all sorts of adventures. This girl grows up into a mother herself and helps her daughter make a set of paper dolls. Perfect for 4-6 year-olds. The hero of Little Street, illustrated by Gregory Rogers – this is a picture book with no words. The story is told in comic book style but without the speech bubbles. A lovely, funny book about a boy who accidentally seems to get into trouble and accidentally ends up in one of Vemeer’s paintings. It would be a fabulous way to encourage reluctant readers to enjoy books – without technically reading! But of course, the story is told through the illustrations. 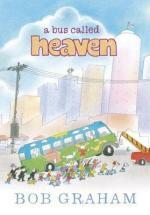 A bus called Heaven, written and illustrated by Bob Graham – this story is all about community spirit. It’s a lovely story about a quiet girl who stands up for something she believes in. Bob Graham creates stories which show characters at their best – you would want your kids to be surrounded by these characters. The fantastic flying books of Mr Morris Lessmore, written by William Joyce, illustrated by William Joyce and Joe Bluhm – this is a really special book – I think I’d like to live in it, especially the library with flying books. It tells the story of Morris Lessmore, who writes his hopes and dreams in a book and loves reading. This book shows books as living things which engage with readers. It’s also a lovely short film – you can watch it here – Miss 10 and I thought it was wonderful. Tiger can’t sleep, written by S. J. Fore and illustrated by R. W. Alley – this is one of my favourite read-aloud books ever. The little boy in the story wants to go to sleep but he can’t – because there’s a tiger in the closet making all sorts of strange noises. It’s hilarious because the tiger takes the part of a child, and the child in the story reacts like an adult. I have read this to my three kids over and over again, and to many other kids as well because it’s just so funny. I would rescue this book from a fire! Wonderful for 3-7 year-olds. Cloth lullaby, the woven life of Louise Bourgeois, written by Amy Novesky and illustrated by Isabelle Arsenault – this is a lush, gorgeously written and illustrated book for a discerning reader, 6-9 years. It’s long for a picture book, and it’s a quiet, slow read, so it may not suit all kids. The illustrations are fit to be framed – watercolours in a palette of red, pink, blue and black. The story is based on Louise Bourgeois’ life in Paris, where her mother taught her to mend exquisite tapestries and sew. When she was a student, her mother died and Louise turned to painting and weaving to preserve her memories of her mother. The writing is as beautiful as the illustrations, so it has the feel of a keepsake book to be treasured. Llama, llama red pyjama, written and illustrated by Anna Dewdney – this is a funny book for kinder kids. Little llama is tucked up in bed but feels lonely without his Mama. His mama says she’ll be in his room soon, but soon takes ‘forever’ for this llama. A funny but truthful bedtime story for little ones. Alphabeasties and other amazing types, created by Sharon Werner and Sarah Forss – this would be a fabulous present for a kid about to start school. It’s an alphabet book. Every page covers a different letter with an animal created with different letter fonts. There are also flaps which are always a winner, plus little tips about how different letters are created. Barely any writing – lots of letters and pictures. A child of books, written by Oliver Jeffers and illustrated by Sam Winston – just so you know – this book was written for me. I mean, I’ve never met Oliver Jeffers or even connected with him through social media but he wrote this book for me. Truly. Here are the first lines – ‘I am a child of books. I come from a world of stories and upon my imagination I float.’ See, that was written for me! The illustrations are a mix of black pen outlines, photographs of books and lines of text from stories. This is a book which should be in every school’s library. I hope you find some new reads in this list. I’d be really grateful if you could forward on my blog details through your email to friends and family who may appreciate some book ideas for Christmas. Thank you – happy reading! The inside of this book, Pax written by Sara Pennypacker, is as beautiful as the outside. As you can see from the cover, Jon Klassen has created a lovely, almost nostalgic-looking cover, showing Pax, the fox, looking outwards. The cover accurately reflects the book, as half of the story is told from Pax’s point of view. Pax was published this year and is suitable for 9-12 year olds. Pax is about two individual journeys, both internal and external – one by Pax himself, the other by his boy, Peter. The book is written in third person, alternating stories between Peter and Pax. In the first chapter, Peter and Pax are in a car, driven by Peter’s father. They are going to leave Pax, a tame fox, out in the wild as Peter must stay with his grandfather while his father goes to war. The book follows Peter and Pax’s adventures as they try to find each other, despite all odds. If you’re thinking that this book sounds sentimental, it’s not. It has too much depth and a bitter-sweet ending to be another sentimental animal story. This book is about friendship, growing up, overcoming fear and becoming who you really are. Peter is a fabulous protagonist – courageous, angry, alone, frustrated and kind. And then he told Vola what he’d never told anyone else – about the merging he felt sometimes with Pax, how sometimes he didn’t just know what his fox was thinking but actually felt it himself. He held his breath, hearing how crazy it sounded. Pax, the other protagonist, is curious, willing, intelligent and focused. He lifted his muzzle and bayed a single aching note. It had been so long since he’d seen his boy. Before this, they’d never been apart for more than a day. The bond between them is constant and intimate. Kids who love animals will appreciate the connection between Pax and his boy. This would make a fabulous book for a classroom discussion, with themes of betrayal and trust, and a background of war and death. I know Miss 9 will enjoy it, and I will definitely suggest to Mr 12 that he read it. And as I enjoyed Pax so much, I am going to borrow Sara Pennypacker’s other books from the library.